The appropriate usage of mobile apps can revolutionize manufacturing technology at large. This article tells you how. Most people believe that manufacturing and mobile app development are at the two ends of the engineering spectrum. A decade or two earlier, people working in the world of manufacturing would find it difficult to accustom themselves to using smartphones and tablets. Today, with smartphones becoming increasingly popular, the situation is different. These days, people are so well versed in using their mobile phones for personal purposes that industries have started extending the same to businesses as well. In the light of all of that, people associated with manufacturing technology seem to benefit the most out of this digital wave. In this article, we shall explore the advantages of manufacturing mobile apps. Schedule A Demo of Mobile App for Manufacturing Industry @ www.themobileappmaker.com/manufacturing-request-a-demo/ . Any manufacturing technology deals with a good number of machinery and all of them are arranged in a definite order. As the output of one machine is the input for the next, a good deal of planning and decision making is expected on the part of the manager. Manufacturing mobile apps will ease the burden on the managers as they will be able to base their production-related decisions based on the real-time data that they receive. The manufacturing industry is one where the quality of the goods delivered is of utmost importance and that is why quality inspectors are responsible for ensuring OSHA compliance and plant quality standards. Manufacturing mobile apps are a boon to such people because with date stamps, GPS tracking, and other means of collecting real-time data it is easier to ensure that the prescribed safety standards are being met. This is because in case there is any particular instance of violation of safety standards, immediate corrective measures can be taken in order to ensure that no real damage is caused. Ready to get started @ http://www.themobileappmaker.com/industries/manufacturing-apps-view/ . For the management of any industry, it is important for them to have a check on the productivity of each individual employee to make the most out of the team. This type of micromanagement requires an individual to go through a lot of paperwork (which in many cases may be incorrectly filled or illegibly written). Using manufacturing mobile apps spares one from all of this and allows them to use real-time on-demand data. This enables better human resource management on the part of the manufacturing firm. 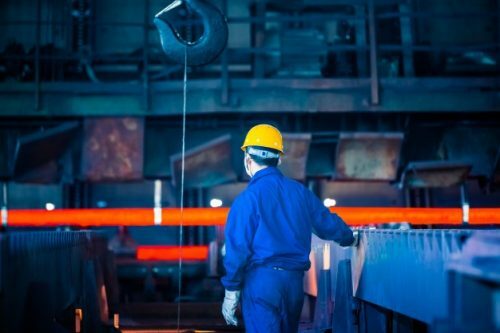 Better employee visibility that is provided by manufacturing apps is a win-win situation for both, the employer and the employee. For the manufacturer, using GPS technology to track their employees on a daily or weekly basis allows better productivity. If an employee is found loitering around the campus, corrective measures can be taken by his/her manager to check on this. For an employee, in the event of an emergency, if his/her employer can track his/her location in the plant, it will save him/her from any physical harm. Thus, the use of mobile apps in manufacturing technology helps to improve the work environment itself. Let Your App Stand Out: http://www.themobileappmaker.com/industries/manufacturing-mobile-app/ . Manufacturing apps provide users with the advantage of being able to track shipments and service vehicles. The GPS features that are present in most such apps allow companies to review routes and ensure that transportation happens with minimum expenditure on vehicles and fuel. The tracking facility of the apps also provides managers with the ability to consolidate the shipping of multiple consignments which allows the manufacturing company to make more money. The mounting advantages of introducing mobile apps in the manufacturing industry is ensuring that there are more and more takers for the same. The sheer inexpensiveness of incorporating the same works in its favor as well. At this rate, in the coming years, a major upliftment of the manufacturing industry is expected. Now Is The Time To Craft Brilliance Together at www.themobileappmaker.com/contact-us/ .